I’ve added some new Nashville episode stills and promotional images of Clare from season 6. I’ve also replaced a bunch of small shoots in the gallery with larger sizes as well as added a couple new ones. Enjoy! 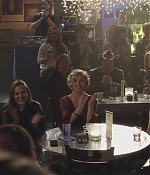 I’ve added screencaps of Clare from this week’s episode of Nashville. Only a small Clare moment but I love all the Scarlett/Deacon moments and performances. I’ve added HD screencaps of Clare from the most recent episode of Nashville. I love seeing Scarlett so happy! Thanks to my friend Claudia for help getting this episode. Sorry for the lack of updates. I have been updated the gallery but didn’t make a post here. 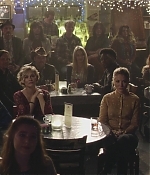 I added screencaps from the last two episodes of Nashville. I’m enjoying the new season, how about you? 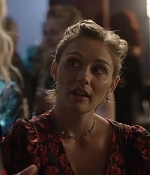 I’ve added screencaps of Clare from the season 6 premiere of Nashville. What a wonderful episode. 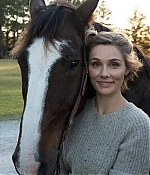 I’ve added a bunch of new photos of Clare from season 6 of Nashville. Check out the promotional videos below. Can’t wait for the new season. Press/Photos: Clare and Brandon get married!! 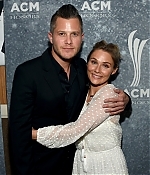 Wedding bells are ringing for Nashville star Clare Bowen! 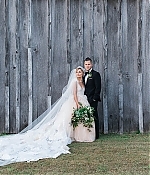 The actress and singer married her longtime boyfriend and fellow musician, Brandon Robert Young, at the Cedar Hill Refuge in Nashville, Tennessee, on Saturday, her rep confirms to PEOPLE exclusively. They were married by John Carter Cash, a dear friend of both the bride and groom. “Sign of a real good party. Danced so much, my slipper blew a sparkly,” Bowen, 33, Tweeted Monday evening. The Australian native donned a white gown — designed by the actress and Olia Zavozina — for her nuptials and cataloged the weekend on Instagram, snapping some sweet moments before the ceremony, including stunning sunrise views on the day she tied the knot. “Watching the sunrise. Wearing the blanket I was wrapped in when I was born around my shoulders. Gonna go marry my soulmate now. #foreverbowenyoung,” Bowen captioned a photo shared early Saturday morning. 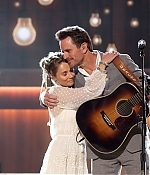 Young first popped the question in December 2015 onstage at The Grand Ole Opry in Nashville, but their wedding plans were delayed after Bowen’s brother was diagnosed with cancer. Bowen admitted that she never thought of herself as the marrying type — until she met Young. 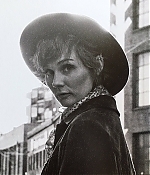 Clare Bowen’s Songs & Stories will premiere on CMC this Saturday at 7pm AEST. To give you a feel for her beautiful performance, we wanted to share ‘Doors & Corridors’, and the story behind it (featuring Brandon Robert Young and Timothy James Bowen). 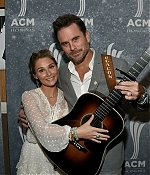 Hey Nashies! Sorry for the lack of updates. I have not been feeling well so I haven’t been online much. Clare went out twice in the last week, looking darling as always. I’ve added photos from both events. Enjoy! 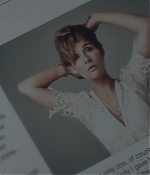 I’ve added screencaps to last night’s episode of Nashville as well as screencaps to the week before. What did you think of the finale?